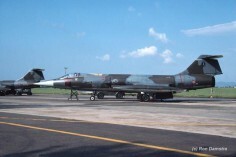 Former JASDF F-104J 76-8682. 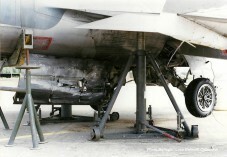 Shot down as unmanned drone and crashed into the ocean near Iwo Jima. 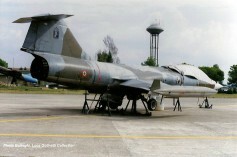 Former JASDF F-104J 46-8592. 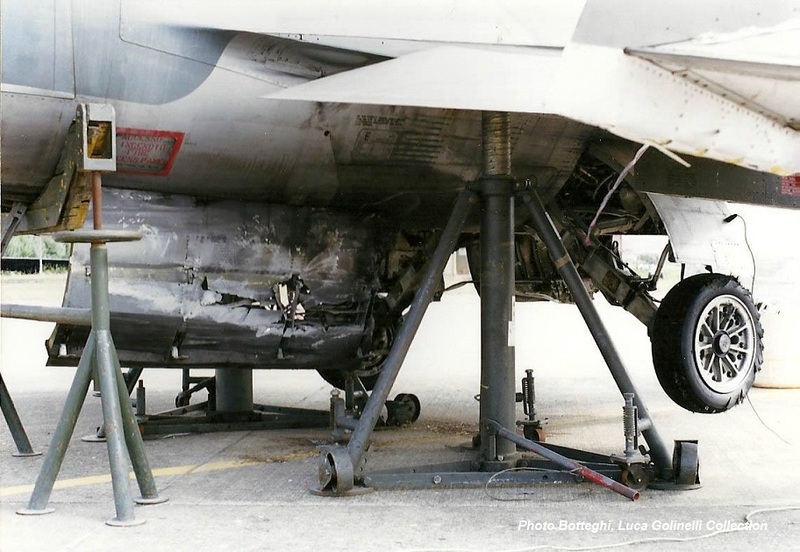 Shot down as unmanned drone and crashed into the ocean near Iwo Jima. 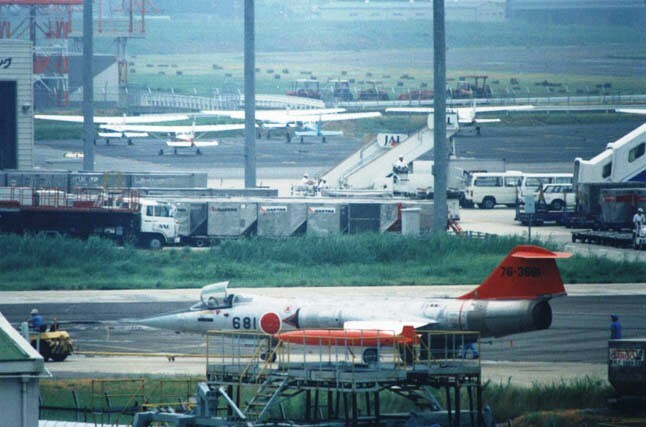 Former JASDF F-104J 46-8600. Shot down as unmanned drone and crashed into the ocean near Iwo Jima. Crashed into the sea, 40 NM North of Pantelleria TP. Pilot Ten. Stefano Faedo was declared missing after ejection. 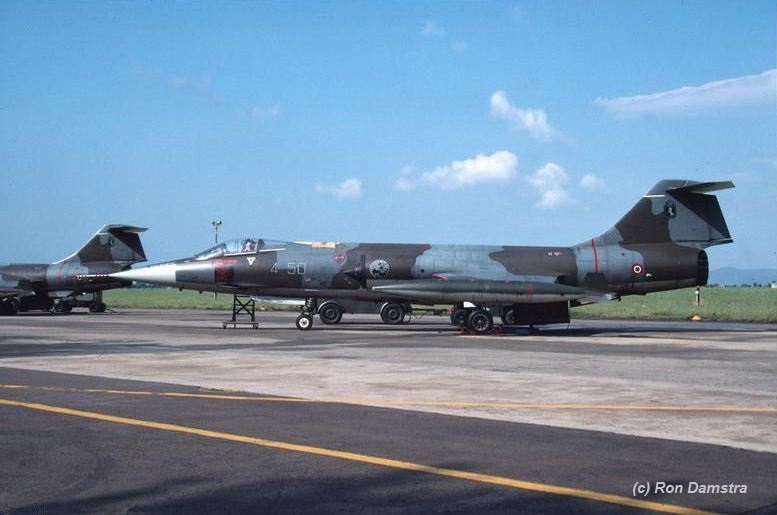 It crashed into sea during a training mission in the afternoon, off Pantelleria island while flying in a group of 3 aircraft. 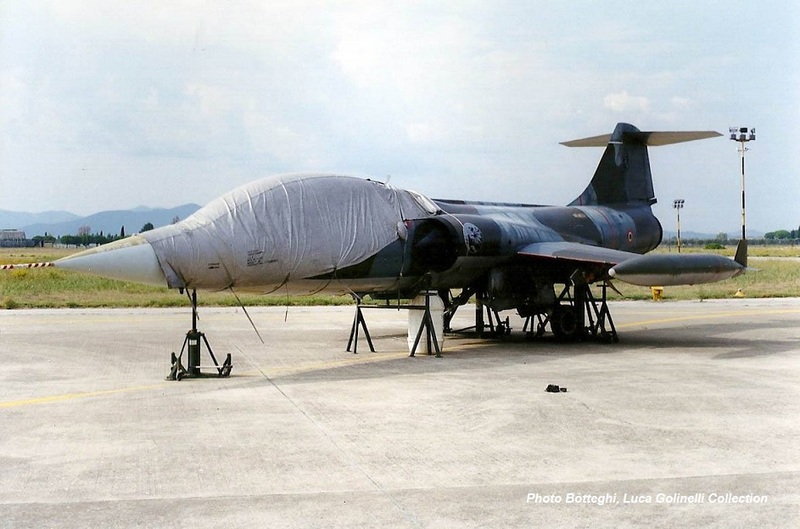 The pilot probably encountered problems because he ejected himself. However when two HH3F helicopters from Trapani-Birgi came over to search for him they could not find him sadly. 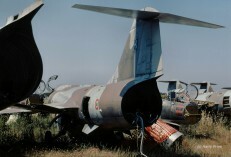 This Starfighter lost its tip tanks in flight at about 10:21/10:30 local time near Siena, Italy (Tuscany countryside). 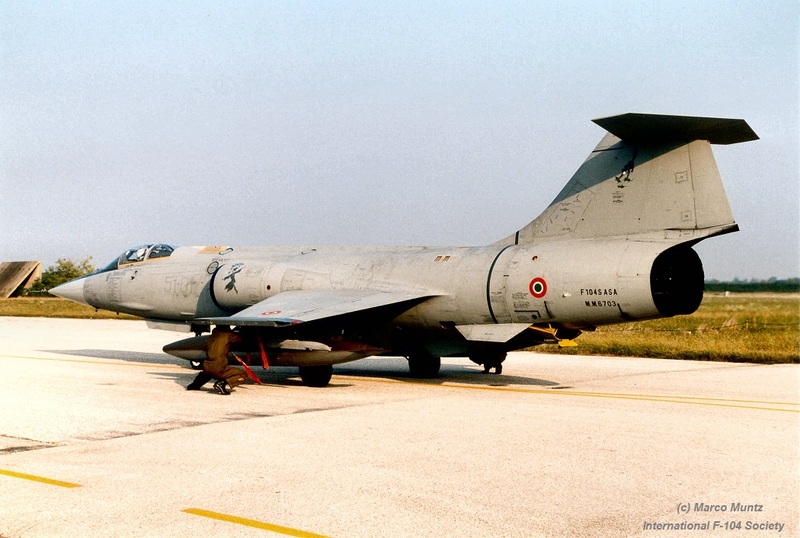 The F104S/ASA was returning to Grosseto from a navigation mission in Northern Italy with instrumental procedure to an other base (it was departed from Grosseto at 09:07 local time with an other F104S/ASA of 20th Group). 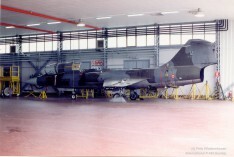 An investigation has been settled by ITAV (Ispettorato Telecomunicazioni e assistenza al volo) in order to find out the cause of the accident. 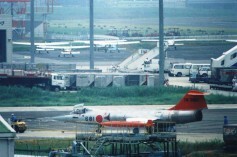 Aircraft was checked and could fly soon again. Beneath a photo taken of this aircraft at Grosseto by Ron Damstra on September 13rd, 1996. One year later the accident occurred. The aircraft could be repaired but never was modified to ASA-M and was withdrawn from use. The 2nd photo shows the aircraft on the dump at Grosseto on May 29th 2001 during a visit (Harry Prins).